This little bag is used by the avid golfer to store his/her golf tee’s in. 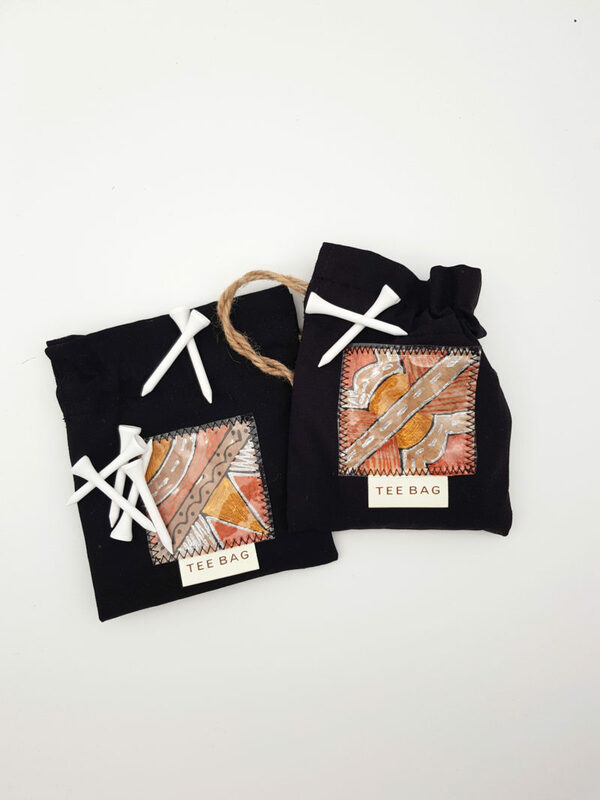 A painted recycled t-bag is sewn onto the front of the bag. This bag will definitely keep your tee’s looking good and your game fresh. The design of the t-bag may differ to the one illustrated.